Queensland’s resources exploration industry now has access to more geological information thanks to a $5 million expansion of the state government’s Exploration Data Centre. The Exploration Data Centre offers the resources exploration industry a comprehensive catalogue of core samples from more than 11,600 drill holes collected by the Geological Survey of Queensland over the last 130 years. The oldest sample is from the Mitchell town bore drilled in 1886. This new expansion will provide storage for an estimated 500 km of additional core samples, adding to the 800-plus kilometres of core samples currently stored at the facility. 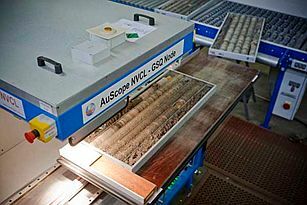 The Geological Survey of Queensland also provides HyLoggerTM digital spectral scanning technology. 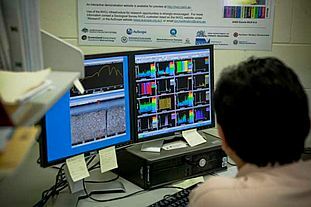 HyLogging™ is an advanced technique from CSIRO that helps geologists to non-destructively assess the mineralogical distribution of an entire drill core, with minimal sample preparation or removing from its original tray. The virtual online library offers geologists the chance to examine detailed mineralogical results remotely from their desks, eliminating the need for physical inspection. For more information, see this link. The Exploration Data Centre expansion benefits not only industry, but also universities, researchers and Government scientists. The centre is open from 8am to 5pm Monday to Friday or other times by appointment. 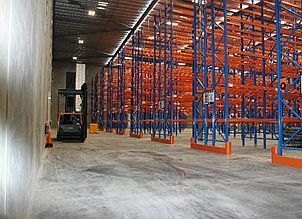 For more information about the Exploration Data Centre, see this link.